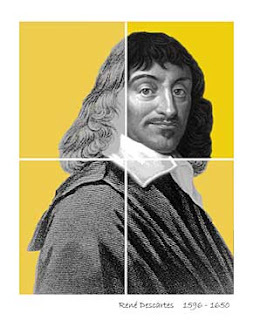 Cartesian Logic is a very simple line of questioning attributable to Rene Descartes who was a French Philosopher in the 15 and 1600's. It is a great way to examine questions and answers from every angle especially in a coaching setting. Of course if you use this pattern for yourself you will enjoy it too. The end result will determine the next steps to take, a result of logic all points toward the same answer. I am thinking about going for my masters in art history in 2012. 1.What would happen if you did ? I would have a masters in Art History which would make me eligible for Teaching at professor level, thus giving me more choices. 2. What would happen if you didn't ? I would not be eligible for some of the programmes I long to be involved in and I won't be able to teach Art History at Stanford University as I had hoped to do in 2014. 3. What won't happen if you did ? I won't feel stuck with my life as I do now. 4. What won't happen if you didn't ? I will not make as much progress as I want to in my career. So in this Demo it appears logical to make the decision to go for the Masters. Why not take one of your own questions and put it through the cartesian logic paces and find your own logic. See Modal Operators of Necessity / Possibility from the Meta Model on NLP is Fun . If you like this informative Post then share it with somebody else and browse through this Empowering NLP Blog in the Archives you will find on the right hand side. Thanks you fr stopping by, Speak soon.